Your Palm-Aire & Greater Ft Lauderdale Realtors! Contact Us Today! CENTURY 21 Wieder Realty is your best source of information when it comes to Palm-Aire and the surrounding area. Contact us today for more questions and to view more properties. 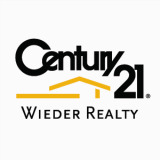 CENTURY 21 Wieder Realty - Your Best Move!